NIS America lifts the curtain for some more helpful hints on what we can expect. 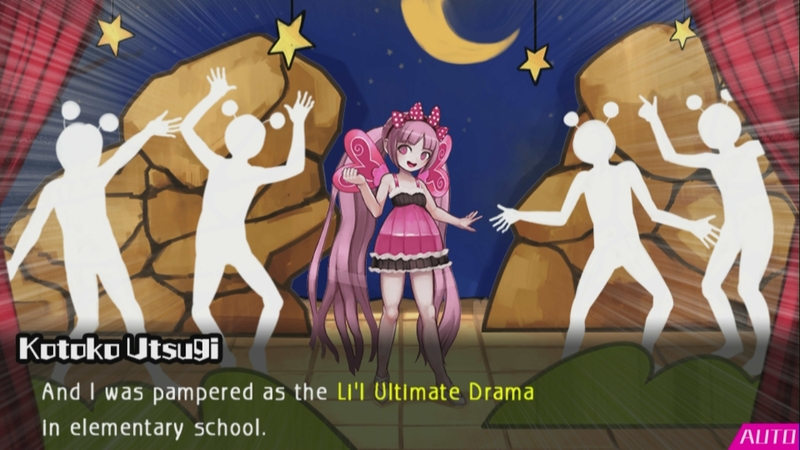 We've known about Danganronpa Another Episode: Ultra Despair Girls for some time now, but we haven't had as many details on it as we would have liked. Today NIS America has seen fit that we've got our hands on some additional information regarding the upcoming Vita title, and in droves! With the horrors from The Biggest, Most Awful, Most Tragic Event in Human History that surrounded Hope's Peak Academy still overshadowing mankind, the war of despair rages on. Upon discovering Komaru, one of the playable heroines of Danganronpa Another Episode, Byakuya of Future Foundation returns from the first Danganronpa game to save her from the attacking Monokumas. Soon after equipping her with a Hacking Gun to destroy the Monokumas, she is caught by the Warriors of Hope, a band of children who rule over Towa City. At first, the children seem innocent, mirroring the Ultimate students that Hope's Peak Academy strives for to become the ray of hope for society. Each of them specializing in their specific strength, the Warriors of Hope identify themselves with various Dragon Quest job classes. Masaru Daimon starts off, the Li'l Ultimate P.E. and the hero of the Warriors of Hope, who claims to be the leader and is followed by Nagisa Shingetsu, the Li'l Ultimate Social Studies and the sage of the Warriors of Hope. Next introduced is Jataro Kemuri, Li'l Ultimate Art as the priest, and Kotoko Utsugi, the fighter of the Warriors of Hope and Li'l Ultimate Drama. And last but not least, the true leader of the Warriors of Hope and Li'l Ultimate Homeroom, Monaca, who acts as the mage in their band of personas. The Warriors of Hope are carrying out a revolution against adults in Towa City - they blame the adults for the tragedy and want to eliminate adults to build a utopia for children and become a beacon of hope for all kids. After defending the adults and upsetting Monaca, Komaru is deemed to be one of the "Demons," which spurs a game called Demon Hunting - a super fun game where the Warriors of Hope fight to see who takes down the demon first. Guided by Kurokuma, the stylish, Monokuma-like advisor to the Warriors of Hope, the hunt begins. Soon after, Komaru is joined by Toko, a.k.a. Genocide Jack, the other playable heroine, and introduced to Shirokuma and the Resistance who will help you traverse through Towa City to survive. Of course, this heavy story can't be complete without the humor that only Danganronpa can provide; Komaru's ordinary girl responses in contrast to Toko's eccentric thoughts and fantasies give way to lighthearted banter despite running for their lives. And so, the rest is up to you - how will you escape? Will you survive the attacks by the Warriors of Hope and escape the hordes of Monokumas? Will you find hope or will you fall into the ultimate despair that lies beyond it? For those of you who absolutely cannot wait, check out Danganronpa Another Episode: Ultra Despair Girls when it hits PS Vita in North America on September 1 and September 4 in Europe.